In the previous post, we introduce several best online tools to rotate videos quickly and freely. However, these online video rotators also have their own drawbacks. For example, some tools do not support preview function for users to clearly see every change they made. Others may not delete your uploaded videos after you finish rotating, so your privacy may be leaked on the Internet. For that reasons, we here show you 5 desktop free video rotators that can be used to rotate a video easily and safely. Well-known for its professional video audio cutter and joiner, Joyoshare Media Cutter for Windows (or Joyoshare Media Cutter for Mac) is actually a useful video rotator. 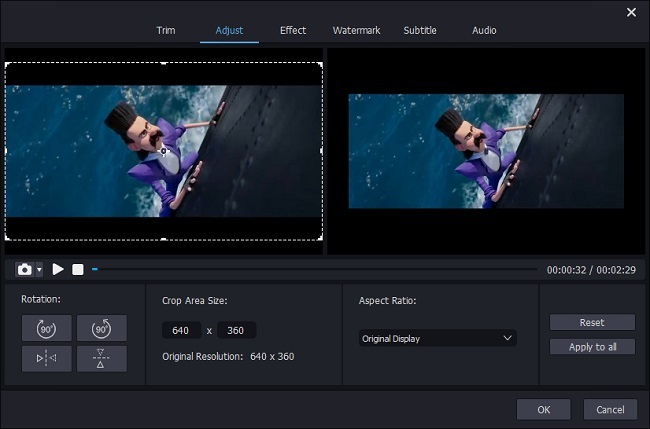 Once you get the free video rotator software download, you can install it on your computer and then rotate a video in high quality. 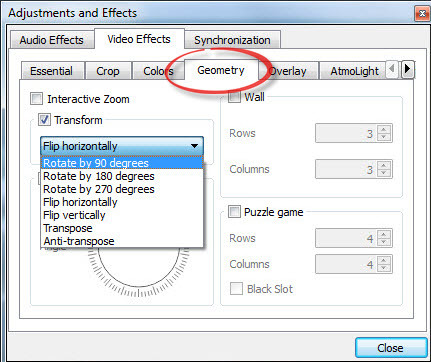 It provides you to rotate a video by 90 degree right or left, flip the video vertically or horizontally. You can rotate and adjust the video to meet your requirement in just one click. Moreover, Joyoshare Media Cutter supports lots of video file formats including MP4, M4V, AVI, WMV, MPG, MPEG, 3GP, 3G2, ASF, MOV, FLV, MKV, RM, RMVB, DAT, DV, H.264, NSV, VOB, etc. You can also save the rotated video in any video formats and popular mobile devices like Apple iOS gadgets, Android generic, Windows Phone, game consoles and more. VLC is a totally free open-source multi-media player that is available for almost all platforms such as Microsoft Windows, Mac OS X, Linux, Unix, iOS, Android, etc. Happily, this free video rotator can also be used to rotate videos in a couple of clicks. It allows you rotate a video by 90 degrees, 180 degrees, and 270 degrees, flip horizontally or vertically, transpose or anti-transpose. If you just install this app on the computer, you can rotate the video in VLC very conveniently. Freemake Converter is also a free video rotator that enables users to rotate MP4 videos as well as other file formats such as AVI, MKV, WMV, MOV, FLV, etc. With it, you can rotate video clips by 90 degrees or 180 degrees at a quite fast speed with no quality loss. After rotation, you can export and save your new videos on the computer, device, and home theatre and so on, or directly share it to the social platform like YouTube, etc. This program runs only on the Windows OS version, including Win 10, 8, 7 and vista. As the name suggests, this is a video rotator freeware for Windows 10/8/7XP and Vista. You can use it to rotate video clips 90 degree in the clockwise direction. Rotating a video with Free Video Rotator only needs three easy steps. Just add the video file for rotating, click the “Clockwise Rotation” button to rotate 90 degrees and then press the “Start” button to save the adjusted button. It is worth noting that you can hit the “Clockwise Rotation” button for many clicks, until you get the satisfied result. 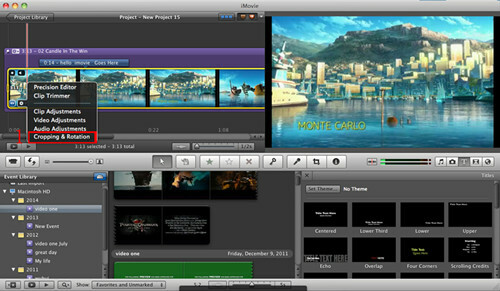 If you’re a Mac user, luckily, you can rotate a video so easily with the preinstalled iMovie video editor. It is designed to be powerful video editing software, but you can also use it to rotate a video and save it permanently. Once you find the rotation option, it will be very easy to rotate the video clips in the way you like. Besides, the free video rotator software also offers many other editing tools to enhance your movie. After that, you are allowed to share your polished videos to YouTube or your iPhone, iPad, etc.